Enjoying an extended summer! Check out all the fun we’ve been up to and what we’re planning for the week ahead. Between housework, extracurricular activities and enjoying the warmth of an early spring; we’ve been busy! Check out what we’ve been up to and what we’re focusing on for the week ahead. As far as a recap for last week, I'll keep things short and sweet, because truly it was a bit of a blur. We enjoyed March Break by way of movies, day trips, hang outs with friends and the kids partied at a sitter's for two days while I worked. While it wasn't Disney, it was still pretty nice. This week, I am back into work mode (when am I not)? Business wise, I am really hoping to be able to launch my eBook for KonMari kids and secure a venue for my first workshop. The pressure is on, but it's really positive and I'm excited. Around the house, I am in full planning mode these days. Since finishing Mairi's room, I now want to take on the entire house. I have started brainstorming ideas for the boy's bedroom decor update and I'm looking forward to diving in. Hopefully, I will be able to get up an inspiration board on the blog this week and share with you what I have been working on. I've also taken the plunge and committed myself to doing the 'April One Room Challenge' of overhauling our master bedroom. On a personal note, we signed our whole family up to our local wellness centre and I'm so excited to finally start making fitness a priority. I wish you all a wonderful week (and restful recovery from March Break)! Last week was a really good one; a perfect balance of work and fun! Loic and Mairi spent their first day at the new sitter's and it went well, Mairi clung a lot to her brother but I know this will ease off in time as she becomes more comfortable (or so I tell myself). Having a day solely devoted to work, provided much more flexibility for the rest of the week in just being able to spend time focused on the kids - win/win! This new routine is going to really benefit everyone and I'm feeling really settled about the decision to have them in partial care. On the work front, I managed to complete my first eBook for families wanting to go through the KonMari Method (yay!) and had the lovely opportunity to finally meet up with two other local bloggers and brainstorm some awesome ideas! The last of Mairi's bedroom makeover was finished yesterday and our little princess is loving her new bed and decorations; I can't wait to share the reveal this week with you all. A roadtrip with friends to the Truro library made for a great way to wrap up the week on Friday (and everyone kept their pants on this time)! We also got out for a nice family afternoon to our local museum, it was such an awesome outing that the kids thoroughly enjoyed and learned a lot from (blog post coming soon)! This week coming is March break and I had been so looking forward to all the fun plans I made for the kids, until I learned we are expecting yet another snowstorm. Ho hum! We'll see how it plays out and if traveling isn't an option, we'll make lots of blanket forts, have multiple movie dates and eat a lot of snow ice cream! Each day this week, I have at least one new upload coming on either my YouTube channel or blog - so if you're into what I have to share... stay tuned! Meal plan this week is a mix of comfort food (aka, stew again!) and fun treats to celebrate March Break! I launched my first KonMari Kids Virtual Group Tidying program last Sunday and it couldn't be going better. 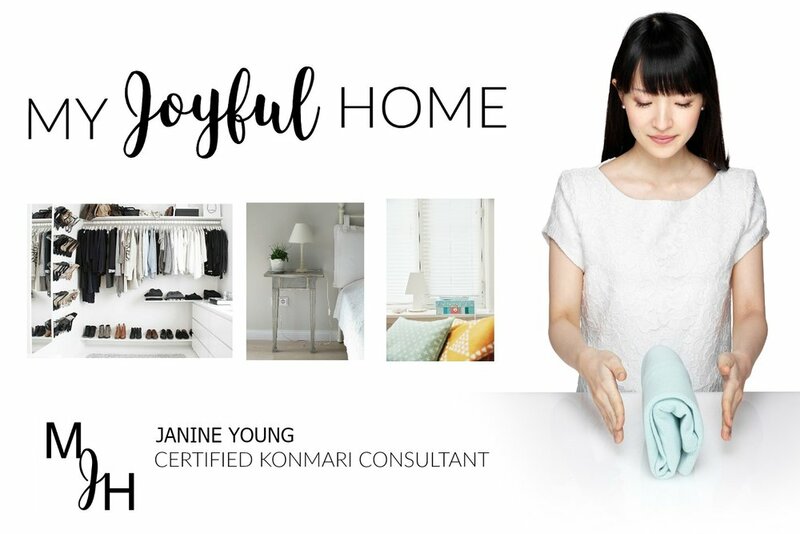 This program is my baby; I created this entire approach to applying the KonMari Method to family life and so I'm especially proud that it is being so well received! I got a much needed girls shopping day in last weekend (that makes two weekends in a row shopping, I'm on a roll). Carla and I took a quick trip to Halifax to take advantage of a great sale at Gymboree and also squeezed in a yummy lunch, a Starbucks run and a great shop at the Gap Factory store. While I bought mostly for the kids, I did manage to buy some new pieces of clothing for myself - always a nice treat! This past week, I turned thirty-three and enjoyed a sweet day celebrating another year - I have big plans to make it the best one yet! I finally spent some time working on Mairi's bedroom makeover. It felt good to make some headway, especially given it had been weeks of no progress. Mairi and Loic met their new babysitter on Wednesday and it went fantastically well; such a huge relief to know they'll be in great hands and having fun. I am very much looking forward to having designated work days each week so that when the kids are home with me, my focus will be solely on them. Work lately has been exciting and fun, I've been spending a lot of time concentrating on the backend of my business; really focusing on my programs and beginning to develop some new concepts. On Friday I attended my first East Coast Mommy Bloggers workshop in the city (yes, another excuse to get there)! It was such a great experience that it is worthy of a separate post (stay tuned!). So far, this week coming is looking like a fairly relaxed one. I plan to finish up the last of the decorating in Mairi's room and then really prioritize doing the same in my office space. I also plan on getting back into filming and hopefully post a bit more actively on here. Otherwise, I really want to keep things as low keyed as possible because it has been such a whirlwind lately and I'm feeling like some rest is definitely needed. Last week's Hello Fresh experience has inspired me to be a bit more creative with our meal planning and so I've spent nearly an hour poking around on Pinterest to come up with a few new ideas to change things up a bit. If you have any family favourite recipes, I'd love it if you'd share (in the form of a comment on here would be great). More snow made for another long start to this past week (we're up to almost 70cm), but thankfully we more than made up for the amount of time spent at home by being, very busy, on the road for the last two days! The beginning of the week had us storm stayed inside, which meant a whole lot more TV than I'd care to admit and too many games of hide-and-seek to count. It also meant very little got accomplished in the way of home projects. As much as I would have loved to finish up some of my to do list items, it just wasn't meant to be. Thankfully, the weather appears to be turning around which hopefully will allow me to finally make some headway on everything that has been on hold. With so much time spent in the house, when the weather finally cleared on Friday we jumped at the chance to head back to Truro. Carla and I packed every seat in her van with our little army of children and made our way over the mountain for a McDonald's lunch date and an afternoon spent at the library (if you didn't catch how it went, read here). I felt like we got a day pass from what was starting to feel like house arrest. Yesterday, Saturday, Rob and I decided we wanted to head to the city and do some shopping. We packed in a lot, including buying new clothes, a trip to Costco, an imperative stop at Skip Hop Jump and a fun supper at Montana's. I actually don't remember the last time we had such a great day spent just as a family (aren't they the best?). As per this week, I'm keeping things simple and just focusing on some side projects with my KonMari consulting (details coming soon) and finishing the last of what I can in Mairi's room because some of the items from her bedroom update have not arrived yet. Confession, I haven't even finished Mairi's bedroom and already I'm brainstorming some updates to do in the boys room (I can't be the only one who works/functions this way?!). On the food side of things, I am really looking forward to this week's meal plan. This is mostly because of my Hello Fresh delivery that is arriving on Wednesday and will be served up on Thursday (big thank you to Hello Fresh). I will be sharing all the details in both blog and video form, so stay tuned! I likely won't have a Sobeys grocery haul to share with you until later this week, because we bought so much at Costco - check it out! I can't chat about the week to come without touching on the week that was... what. a. week! If you read last Sunday's blog post, you know I had a lot on the go. While my planner was definitely packed, I thought I had it all choreographed perfectly, and I did, until we had two snow storms! Now that I'm on the other side of things, I can chuckle over the chaos, but while in the thick of it, it was rough going. The hardest challenge that I'm currently dealing with is juggling between my online content and KonMari business while still being a full-time stay at home mom. I'm in the process of trying to establish childcare for at least a couple of days a week, but until that gets sorted... coffee (and prayer)! Having two storm days really threw everything for a loop, but was also a good wake up call in terms of scheduling and really planning ahead. Despite the nuttiness, we still managed to have some fun, too! There is something exciting and cozy about snow days and I swear I get as giddy as Hudson when we receive notice of no school. The kids spent lots of time in the new snow, watching movies and enjoying some crafting. Hudson had his first piano lesson and thoroughly enjoyed it! This week, while busy, isn't nearly as hectic as the last. Valentine's Day is only a few days away and I haven't done a single thing! I'm hoping to be able to square away the kid's school goodies and decorate a little on Sunday (I'll share, of course). On the project front, I'm looking forward to Mairi's new bed arriving so we can finish updating her bedroom. My other task of organizing and decorating my office is taking much longer than I anticipated, but there's really no deadline, so I'm simply working on it when I find I have the time. I'd like to look at doing something fun next weekend with the family, suggestions are welcome! Meal plan is another simple one this week. With some messy weather heading our way, I'm hesitant to plan for anything too complicated. Wishing you all a wonderful and relaxing week ahead!